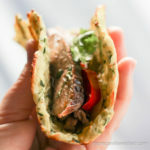 These baked low carb zucchini tortillas are healthy, full of flavor, pliable and sturdy enough to use as tortillas for keto tacos and fajitas. If you do a search for zucchini tortillas in the internet, you’ll get like a bajillion hits. At first it seems not to be a novel idea. But look a little closer and one will see that there aren’t really many recipes that are actually making a tortilla out of zucchini. 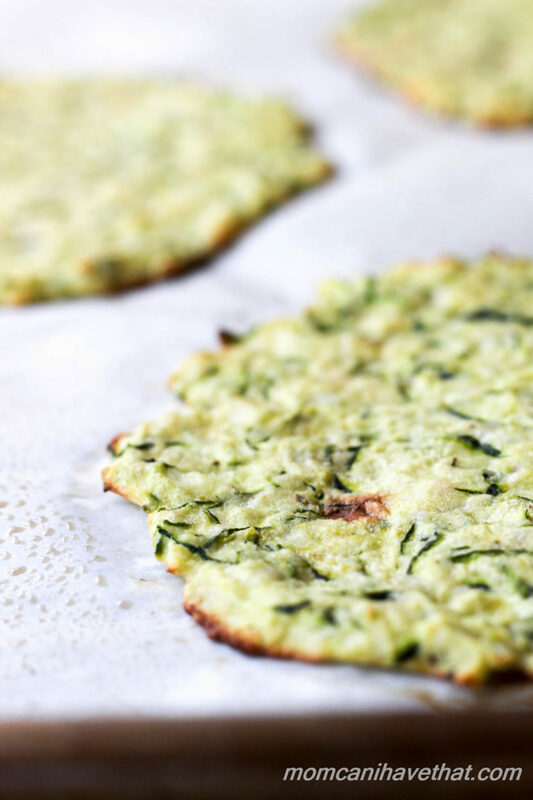 This flavorful and easy recipe is actually a tweak on my low carb zucchini fritters recipe and I can’t take any credit for this whopper of an idea. Elaine, left a comment on my zucchini fritter post explaining how she made the recipe into zucchini tortillas. I had to try it and I liked it very much! She’s a genius. And my husband said that I could serve him these low carb tortillas any time. They were the perfect accompaniment for our traditional beef fajitas. 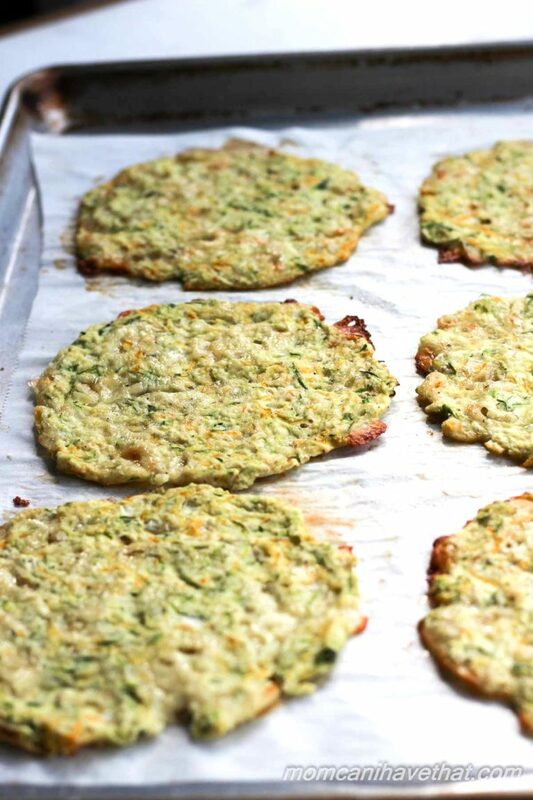 I’ve tested this recipe three ways; once using the low carb zucchini fritter recipe as-is and the second time swapping out some mozzarella cheese, and the third time adding more grated Parmesan. They were all great and the carb counts were the same. The only difference is that the zucchini tortillas made with the grated Parmesan cheese were thinner and a little larger in diameter that those made with the grated mozzarella. What I like about these low carb zucchini tortillas is that they are Really. Full. Of. Flavor! One does need to take a little care while holding these soft taco style. One of my kiddos held their zucchini tortilla a little too hard and ended up crushing it apart. I actually doubled the recipe to 16 low carb zucchini tortillas, which held-up well in the refrigerator and were great leftover. They can even be frozen – use a piece of waxed paper in between each tortilla. Defrost in the refrigerator and reheat in the microwave or even in a pan. I just want to mention that I can’t guarantee that the oat fiber 500 used in the recipe is gluten-free. Feel free to sub coconut flour, Bob’s Red Mill gluten-free Bake Mix or add a little more almond flour as suits your dietary needs. The batter was thick, but not like a dough. It was easy to scoop and pat into a circle with my fingers. As the batter sat between batches that were baking, the zucchini and onions released water, I just stirred it in before portioning for the next batch. It did not affect the texture of these low carb zucchini tortillas. Here’s a super easy recipe for Traditional Beef Fajitas which are great in any of the wrap and tortilla recipes. Need another recipe to wrap up? The Green Chile Stew is fast and easy to make! Grate the zucchini on a box grater or in a food processor. Put the zucchini in a colander and sprinkle with the teaspoon of salt. Mix the zucchini gently to distribute the salt and let it sit for about 5 minutes. Squeeze the zucchini out with your hands and place into a medium sized mixing bowl. Preheat the oven to 375 and position the racks to the lower and upper third of the oven. Line two baking sheets with parchment paper. Add the eggs and onion or scallion to the zucchini and mix together. In a small bowl, add the dry ingredients and stir together. Add the dry to the wet and stir to incorporate. The batter should be thick but not stiff. Water will be released from the zucchini as the batter sits, just mix it in before measuring and baking. Stir the zucchini mixture one more time and dip a ¼ cup measuring cup into the batter, level off. Place three mounds onto the baking sheet and spread them into a thin, flat circle. Elaine suggests using a fork. Bake for 7 minutes, switch the baking pans (put the top pan on the bottom rack and the bottom pan on the top rack) and bake 7 minutes more or until the zucchini tortillas are cooked to your liking. Let the zucchini tortillas cool a bit before removing with a spatula to a cooling rack to cool. Makes 8.
has anyone tried using the left over zucchini or cauliflower pulp from a juicer when doing this kind of stuff? Yum! Made these tonight with grilled pork tenderloin. Delish! Easy and so tasty. Thank you! I’m new to the Keto diet, at least I’m trying to begin and found this recipe for my taco night:) I had to substitute the almond flour for cashew flour bc I’m allergic to almonds (I had raw cashews on hand to grind up for flour quickly). I really squeezed all the moisture out of the zucchini AND the onion so they wouldn’t be soggy, omitted the lemon pepper bc I didn’t have any, and they were amazing!! I might have added 1/4 cup more cheese too. They are better then any store bought tortillas I’ve ever had, and better then any flour or corn variety too! Thank you! 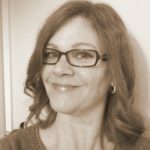 Hi, I’m new to keto meal plans and loving it! Just wondering if this can be cooked in a stove top pan, it’s +40 celcius where I live and we totally avoid turning the oven o as it heats up the house even more. Thank you for all the yummy recipes and healthy tips. I absolutely love this recipe! 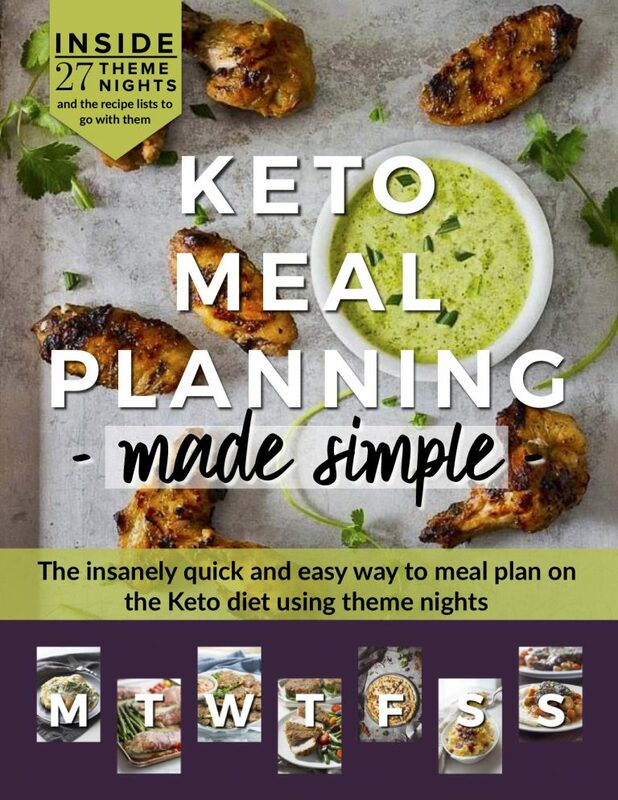 I am new to the low-carb and Keto thing, and am looking for good recipes, so this fits the bill! Used 2 tonight for the “bun” for my chicken sandwich, and fell in love with the flavor. Used almond meal and coconut flour, as that is what I had. My zucchini was not a full pound but more like 3/4, but apparently that didn’t matter. I am wondering if anyone has double-‘baked these to make crackers or crisps? Bet they would be good with salsa or dips! Could frozen zucchini be used instead of fresh and if so, how would you handle the liquid? Any substitute for eggs in this recipe? I’m just curious at the serving size, I understand why it says 1g, but what I would like to know is if 1 serving, or 1 fritter = 1 tortilla. If not, how many serving sizes do I need to adjust to in order to make one tortilla? Hope this isn’t a tiresome question, I cook for myself alone and I have to keep strict for health reasons. Thank you!!! And I figured that might be the case, it works out I’m planning on using these for a snack several times this week anyways. How big is one tortilla?? Awesome recipe ! Thanks ! I substituted Sun Warrior Natural Protein (vegan pea/rice protein) for the oat fiber and it turned out beautifully and amped up the protein and even decreased the carb by just a small amount ! Will be making these again and again. I had to increase the cook time to 16 minutes total. Thank you for the recipe- I am looking forward to trying this out. I am wondering if anyone has taken these zucchini tortillas and deep fried them to make tortilla chips? 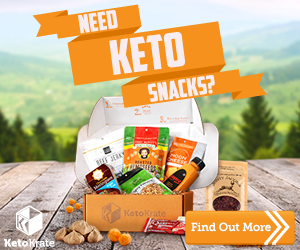 My husband is on a keto diet to help him fight cancer, and I know that he would LOVE to have crispy tortilla chips from time to time. Thanks for the recipe, I’m keen to try it soon as zucchini are coming into season here in New Zealand. Just one question – your Nutrition breakdown says a serving size is 1g which is obviously not right :) but I would like to know what that should be! Thanks. I am trying these tonight! Thanks so much! Also what app or website do you use for your recipes? Im a blogger to and occasionally post recipes but I dont have this cool recipe maker like you. I would love to know what you use. I am trying these tonight! Thanks so much! Also what app or website do you use for your recipes? Im a blogger to and occationaly post recipes but I dont have this cool recipe maker like you. I would love to know what you use. It’s probably 60ml. 60 liters is a lot of water. Think of the liter containers of soda pop, liters of water. No, 60ml is about a fourth if a cup. These are very good. Will become part of our LCHF repertoire. I just made this recipe and thought it would be better with less oat bran. The bran makes it sort of “gritty”.I thought maybe 2 TBSP would be plenty and slightly increase the almond flour. Hi, wanna try these tonight…would they work without cheese? I’m dairy intolerante so would have to do without. Thanks for this recipe. I made them tonight for the first time, and they are excellent! I’ll be saving this link for sure. I don’ t have an over can I cook them on a pan like regular pancakes? Thank you for this wonderful recipe. I made it with zucchini only about a week ago. It’s great by itself or as a tortilla wrap. I made a chicken taco filling with my own taco seasoning-oh my gosh, what a combo. I’m making them again today, just to have around because my husband and my girl friend loved them. I just made these and topped with chicken taco filling, salsa, shredded cheese and sour cream. I’ll make these again and again! Thank you for the recipe. I love low carb recipes . Thanks for delicious recipes. 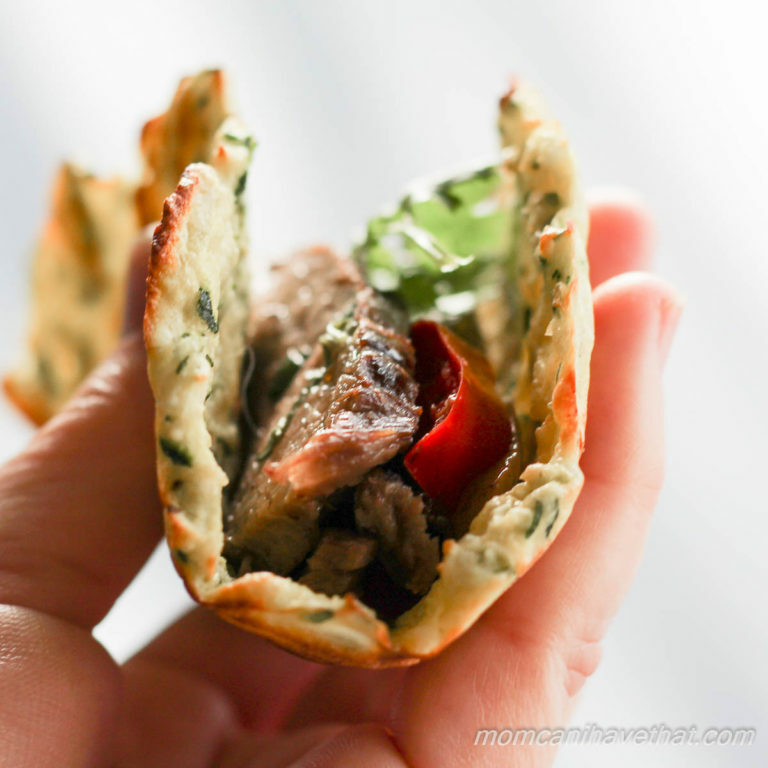 I’ll be making these, along with your chicken fajita recipe, tomorrow! How do you keep these if you don’t eat them all? Refrigerate or room temp? Tupperware container? Etc… There’s only 2 of us and I have a feeling I’ll be the only one eating them so I don’t want any to go to waste! 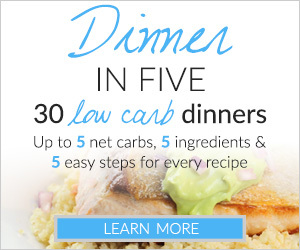 Hi Kim, I just wanted to let you know I featured this recipe in my Low Carb Gluten-free Zucchini Recipes roundup. I hope you’ll get some visits coming your way! YOWZA! These were so tasty ! I enjoyed them just in hand. I had to use onion powder as I was too whipped to go to the store for one. Can hardly wait to make them again with grated Vidalia. Mmmmm. Not just “thank you”, but bless you, too. I love finding recipes that even my 11 y.o. will eat.Tonight he asked, So what’s the adventure tonight ?”. He inquired if they had grass clippings in them, too! BUT he ate them and LIKED them. Take that, my short sassy food critic! Hi, I just made your tortillas and they turned out great. My icescoop is exactly one cup so I used him to put the batter on the baking sheet. I covered the balls with baking paper and flattened them by hand.mWorked very well! Thanks a lot!! Yay! I made these for the first time last night…and they were a HIT! I need to make a massive batch and freeze them for my husband. I omitted the oat fiber and just used ground almonds. I also added a few cloves of crushed garlic and a bit of pepper (I didn’t have lemon pepper). Now I want to use this recipe for pizza bases (I’m really not fond of the cauliflower recipes I’ve tried so far). I made these tonight for taco night. I bought regular flour tortillas for everyone else and I am glad I did. I am not gonna be sharing these, they friggin rock!!! I’ve got two left and will be using them for lunch tomorrow!!! And not hard to make which is great cause I usually have a half dozen things going on at once in the kitchen. Thanks for the shout-out, Kim. I make these a lot and keep them on hand for not only tacos, but as a base for my eggs, cheese and salsa for breakfast. Yum! A couple of other tweaks that I do: I use my homemade chili powder instead of the lemon pepper and since I’m grain-free, I use all almond flour. I, also, use cheddar cheese instead of the parmesan. I bake mine at 400 degrees, but that’s because I’m at an altitude of over 5000 feet. ;) I made another batch last night and had them as steak tacos using my leftover BBQed steak, guacamole, grated cheddar cheese, green chile salsa and sour cream. Oh my, so good, I don’t even miss regular corn or flour tortillas! ooh i like this because they are baked! i first looked at the fritter version but gawked at the frying part. i have two zucchinis at home which i haven’t decided what to do with yet so this may be it! i’ll rate the recipe if i do have a chance to try it out! I am so going to have to try this!!!! My mouth is watering thinking about the possibilities! Kim, what a novel idea! It’s always great to come up with an idea that is not duplicated a zillion times by someone else on the internet. I’ve been on a low-carb diet for the past 11 weeks and have lost 20 pounds. I’ll be reaching my goal weight soon but ill have to keep the carbs (i.e. sugar) in check so that I don’t gain it back!